In the 21st century, operating rooms have become highly technical environments, full of specialized surgical equipment that has revolutionized surgical techniques and capabilities. As this new technology has developed, it has rapidly become the standard in every global market. Manufacturers of high-tech surgical suite systems have steadily expanded their marketing to compete on a global basis, as medical professionals and patients alike demand and expect access to these lifesaving surgical innovations. Due to the complexity and technical nature of new surgical suite equipment and devices, translation of its associated documentation has become an area of high demand for manufacturers of this equipment. International Language Services has been a leader in providing technical translation services for the medical device industry for over three decades. Our extensive global translation capabilities and reputation for accuracy, timeliness, and flexibility make us the ideal translation partner for surgical device manufacturers. Through our extensive pool of specialized translators, all native speakers in the target language they provide, ILS guarantees accurate, on-time translations in 180 languages. Our medical device project managers and state-of-the-art translation memory and translation project management tools, along with unmatched formatting, make us a one-stop, cost-effective solution for all of your translation needs.  Our ISO 9001:2015-certified quality control systems and experience with CE mark language requirements assure quality performance, regardless of the complexity of your projects. Operating Suite Instrumentation Systems—From translations for computer software and display systems that can accommodate all alphabets, character sets, and language directional flow to accurate translations of documents in 150+ global languages, ILS fills every need with accuracy, efficiency, and attention to detail. Computer-Assisted Surgical Technology—Today, robotic-aided surgical systems and advanced laparoscopic, arthroscopic, and stereotaxic surgery systems, along with other technology-assisted surgical devices, are increasingly marketed worldwide. Accurate translations for all documentation, training materials, and other documents require experienced translators and top-notch translation project management. In-Suite Surgical Imaging Systems—Hybrid surgical suite technology includes advanced imaging technology and demands accurate translations when marketed on a global basis. As a global medical device translation service provider, ILS has demonstrated expertise providing translations for imaging systems manufacturers. Patient Monitoring and Anesthesiology Devices—Constant monitoring and control of patients is essential during surgery, and technology has greatly advanced in these areas. Proper translation of user display interfaces and control systems is essential when marketing these devices and technologies globally. Laser and Other High-Tech Surgical Devices—The increasing use of laser and other technologies in all surgical specialties requires accurately translated IFUs, safety documents, and more. ILS translation teams have extensive experience in translating all documentation for these devices. Surgical Video and Communication Technology—For use within the surgical suite and for remote consultation, today’s surgeons are equipped with sophisticated video and communications systems. As with all technological devices, accurate translation of documentation into all target languages is essential. As an experienced global translation services provider, ILS stands ready to supply the translations you need in over 180 languages. For manufacturers of devices and equipment for modern surgical suites, partnering with a trusted translation services provider offering demonstrated expertise in medical device translations is essential. ILS fosters long-term relationships with medical device manufacturers to meet your ongoing needs. Through our top quality translations, CE mark experience, and continuous improvement of our ISO 9001:2015 quality processes, we deliver fully formatted translations that exceed our clients’ expectations.